I have been having a blast lately making fun designs to share with you all. 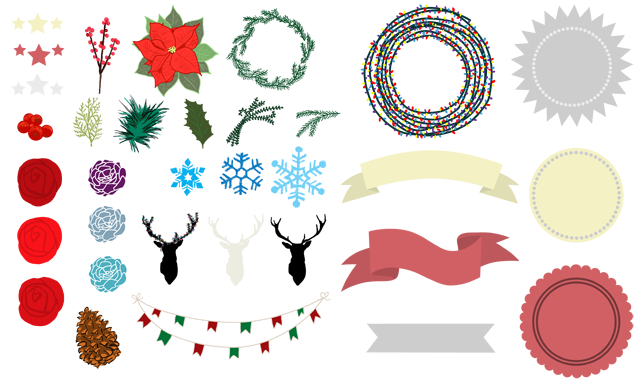 Today I am giving you a set of Christmas Clip Art, and I hope you enjoy! 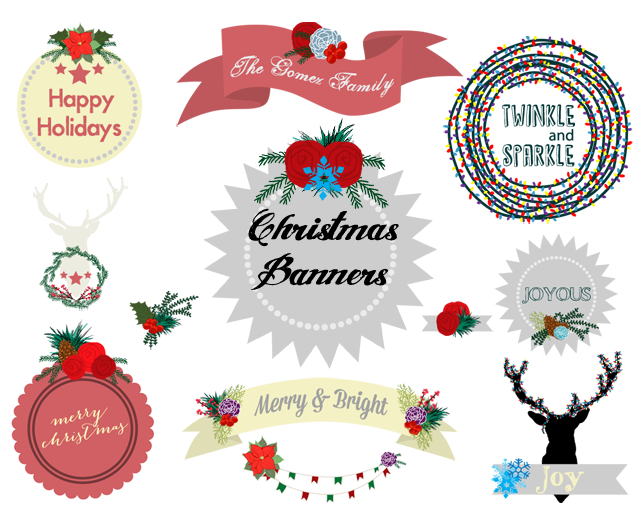 Download the Christmas Banners Clip Art HERE. File is a high-res transparent PNG. 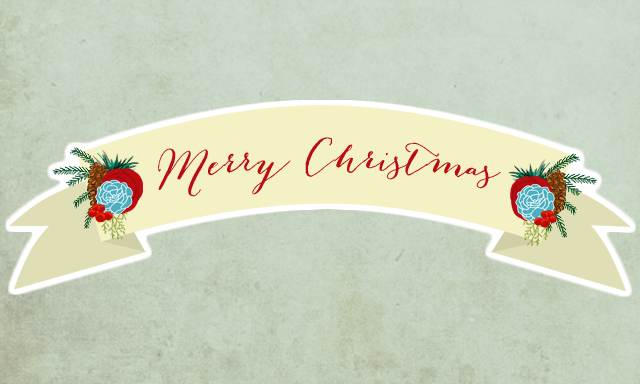 Use it to add embellishments to photos and cards, or for blog designs! For personal use only. If interested in using for commercial purposes, please contact me to work out a deal. Thanks for visiting Amanda's Books and More earlier this week. I hope you had a wonderful Thanksgiving. I just checked out your shop (I was reading your previous post) and I really like your Watercolor World Maps and your Daytime Mountains Geometric. Wishing you all the best with your biz. Thanks - these are brilliant! These are awesome!!! 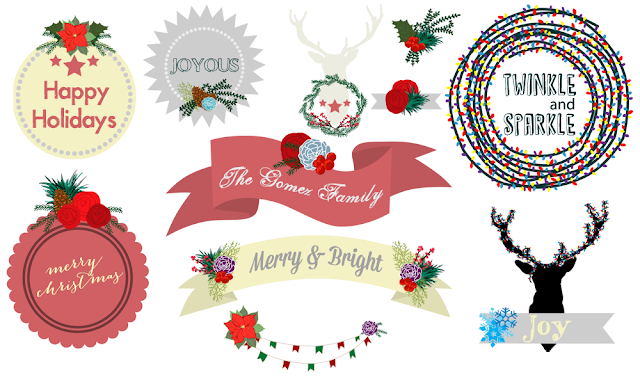 I canNOT wait to make some pretty printables and notecards. And, I'll make sure to let people know to come here for the adorable images. The deer, with the lights and joy?!? genius.